Enhancing your passenger’s travel experience means more than improving their shopping and dining options. When passengers – even seasoned travellers – come into an airport environment, they don’t always know what to expect. The unexpected is one of the things that makes travel stressful, and basic parts of the airport journey, such as navigating security, heighten the stress level because travellers don’t know what to expect and may wonder if they are going to get through security quickly or be delayed and have to rush to their flight. Once passengers are past the security side, they often remain apprehensive wondering where to go, if their flight is operating on time, and if they have sufficient time to do more than rush to the gate. Because the entire ‘airport experience’, to a large degree, is out of an individual’s control, it creates continued stress at many touch points throughout the airport. One of the ways you can reduce stress for your customers is to provide a place to satisfy the four ‘Rs’ – a Respite, a place to Relax, Reconnect and Recharge before jumping on that flight. 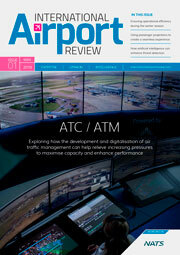 A great way for an airport to satisfy these four Rs is to establish a shared-use airport lounge. It wasn’t long ago that airport lounges were seen as exclusive sanctuaries available only for an elite few ‘VIPs’. They provided an airport experience reserved for business travellers looking to make their calls before the big meeting in quiet surroundings or for celebrities avoiding the main terminal hustle and bustle. But in recent years this has changed, meaning that the everyday leisure traveller can enjoy the benefits of an airport lounge experience. Airline lounges have historically filled the four ‘R’ gap with a combination of membership access clubs and premium passenger access lounges. However, the demand for an airport lounge experience has grown exponentially in the past few years. ‘Traditional’ airline lounges are becoming more insular in their access – as they struggle to accommodate the demands from their membership, premium customers and affinity credit card relationships. Long popular in international airport locations, a shared-use lounge is an efficient and effective use of space providing a solution that can accommodate lounge facility demands from multiple airlines and travellers. Shared-use airport lounges attract travellers that are seeking an airport experience that is customer focused and provides ‘quality of separation’ from the stressful aspects of travel. A true ‘shared-use’ lounge offers ‘inclusive’ lounge access for any passenger regardless of airline, class of service or affinity card relationship vs ‘exclusive’ access lounges that limits access to a particular customer audience. 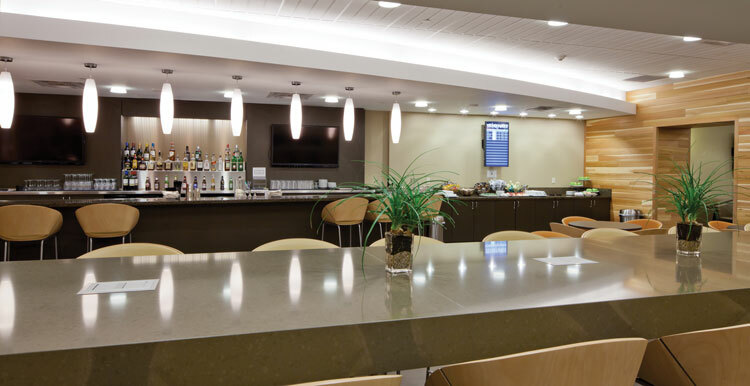 The concept of the ‘shared-use’ lounge entered the U.S. market in recent years and has been widely accepted by passengers and airports as an excellent complement to the traditional airline lounge product. Facilities that can be shared between several airlines are an efficient solution to enhancing your travellers’ airport experience, accommodating new airlines’ lounge requirements, and adding non-aeronautical revenue to your airport’s bottom line. With a shared-use lounge, your passengers and airlines will have access to an enhanced travel experience; satisfying their four Rs and simultaneously helping the airport to enjoy a fifth R – Revenue! Structuring the shared-use lounge as a concession means you will have the flexibility to grow concession revenue as the demand for lounge access continues to grow. Underused or underperforming spaces in airport terminals can be turned into revenue sources as shared-use airport clubs. It’s the number one rule in the property market, but unfortunately location is often overlooked when determining the positioning for a shared-use airport lounge. 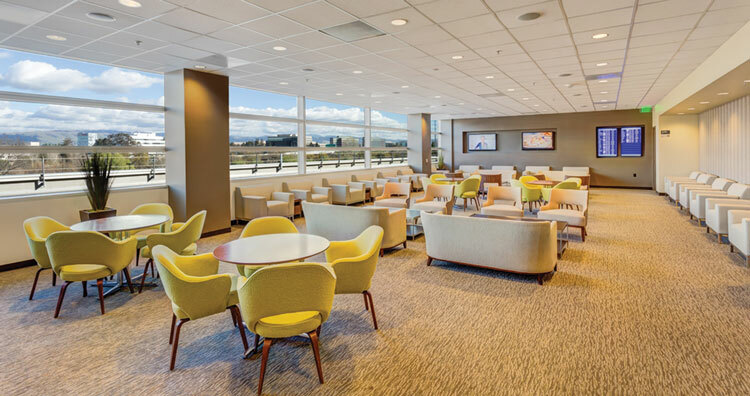 While an airport may not have the benefit of windows that overlook a fabulous ocean view – a shared-use lounge needs to be positioned in an area of the airport or terminal that supports its goal of enhancing passenger experience. A convenient location with easy access for a variety of passengers and airlines, windows that augment a natural unobstructed view and clear directional signage will all assist in drawing customers into your shared-use lounge and increasing your revenue potential. A typical departure concourse lounge would cover 5,000-10,000 square feet. A general guideline for determining the appropriate footprint for a shared-use lounge is 45 square feet per seat. This provides the lounge operator with sufficient space for comfortable seating and necessary lounge infrastructure. To deliver a differentiating lounge experience it is best to turn to the experts – a reputable airport lounge operator, such as Airport Lounge Development. Experienced lounge operators have a keen understanding of the balance needed between fun and trendy design elements and necessary durability and easy maintenance requirements. The lounge operator will negotiate with the airlines to establish an acceptable lounge experience and guest access rate. At Airport Lounge Development, we tailor our food and beverage product to the unique needs of the airlines whose customers access our lounge. 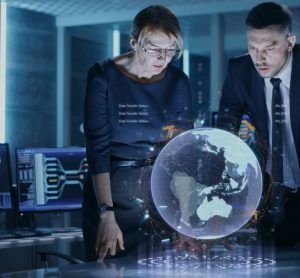 While there are a variety of amenities that travellers appreciate, probably the most important (and often overlooked), is the need for a lounge operator to deliver a differentiating ‘hospitality’ experience. As we all know, travelling is not always fun. 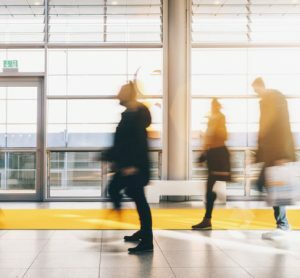 Business travellers in particular often feel as if they are simply shuffling from one airport, hotel, or meeting to another, which can in turn leave them feeling empty and/or alone. 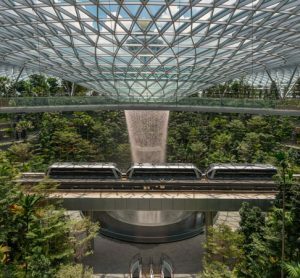 Airports that deliver a true hospitality experience will fill that gap for travellers and leave with them a positive impression of the airports. Making the most of the airport lounge will not only enhance the travellers’ airport experience, but will ensure both the airport and the traveller’s ‘Rs’ are all satisfied. 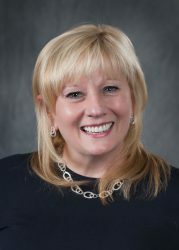 Nancy Knipp is Senior Vice President of Airport Lounge Development. She oversees all aspects of the ALD network, including identification and negotiation of partnership opportunities to increase access to independent lounge access for travellers. Prior to joining ALD in 2013, Nancy worked at American Airlines where she held numerous positions of increasing responsibility over a 30 year career. As Managing Director for American Airlines Japan, Nancy led the biggest expansion in its 17-year history by redefining the company’s business strategy. She ended her tenure at American Airlines in the role of President and Managing Director for the Admirals Club and Premium Services division. During this time the airline’s membership lounge experience grew by over 15 per cent.